One of the simplest machines is a see-saw lever. Place up to eight objects on the lever at different locations and try to balance it. 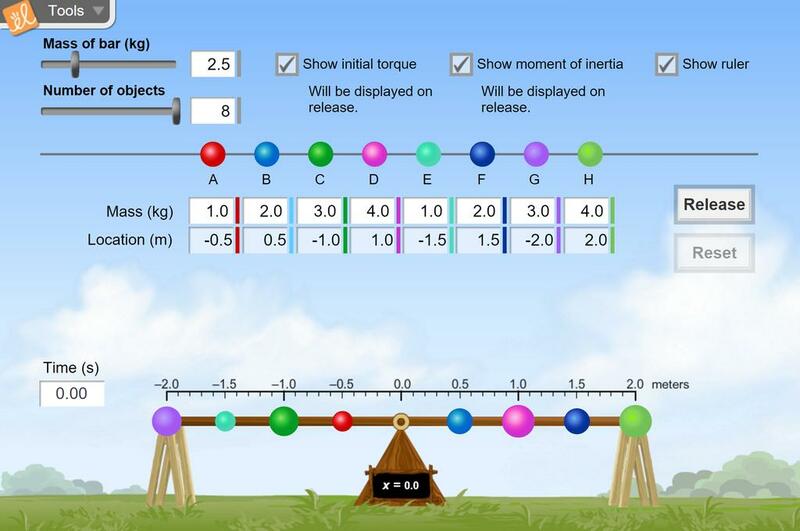 Calculate net torque and moment of inertia based on the positions of the objects and the mass of the bar. The mass of each object can be changed, and the fulcrum position can be shifted as well.